For efficient corporate relocation services that won’t halt your business’s productivity, trust in Allied Pickfords. We are your corporate moving company that can relocate your business while maintaining your flow of commerce. Allied has more than a century of experience in relocating companies all over the world. There’s nothing we won’t do for you when relocating your business. We provide inclusive corporate relocation services, ranging from move management to storage and logistics to valuation coverage. 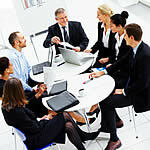 We have a global capacity for corporate relocation with representatives and locations spanning the world. There’s nowhere in the world we can’t move your business, and no limits to which we won’t go to get you there. For your next office move, choose Allied as your corporate relocation company.